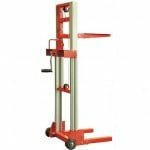 PA1015 is a manual pallet stacker with a 1.5 metre lift height and 1000kg capacity. 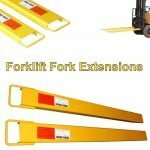 It features fixed forks and fixed base legs – across fork dimensions are 550mm x 1150mm length (width x length). 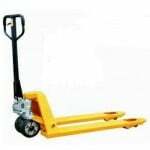 It has braked rear wheels and an addition foot pump lever. 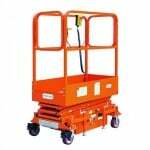 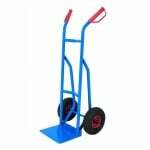 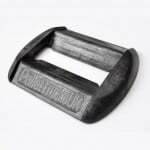 It has a robust steel profile construction, with both hand and foot operating levers. 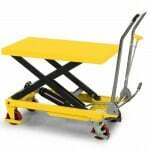 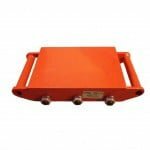 It has been precision engineered for smooth operation and performance and offers an economical lifting solution for pallets, skids and dies. 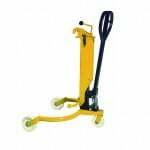 Both small and compact, this makes the stacker truck ideal for operating in small areas. 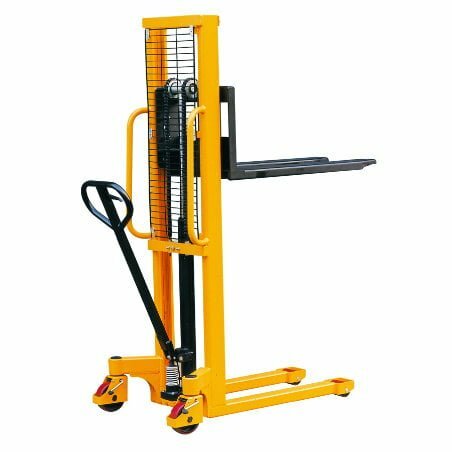 Please note – this model will only lift open bottom pallets and stilages, for lifting closed bottom pallets please look at our straddle stacker trucks.